Another very hot day but with a cooling north-westerly wind. The change of wind direction and strength was just enough to bring a small influx of shrikes, including our first real rarity find of the trip. 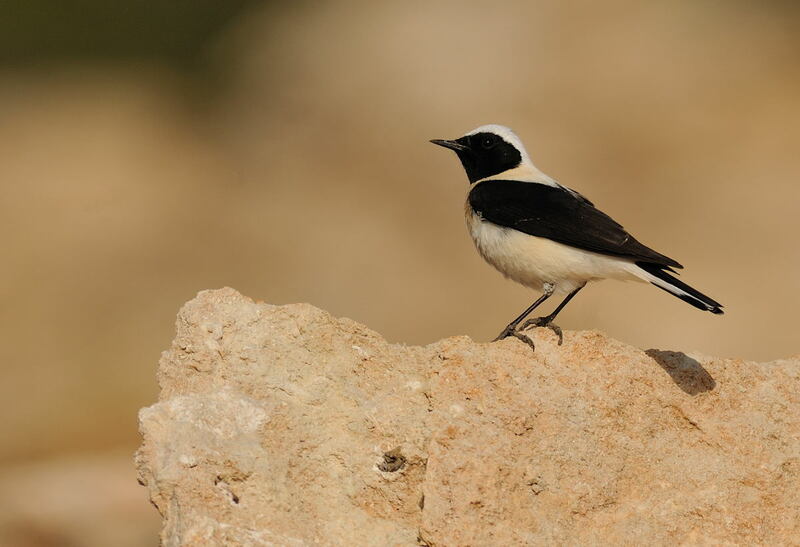 With the fresh fall of eight Red-backed Shrikes, two Masked and two Woodchat came a female/first year Isabelline Shrike. Sadly we had no more than a minute on it and not enough time to photo it. as it disappeared into the juniper forest. It was also seen by a Brummie crew. 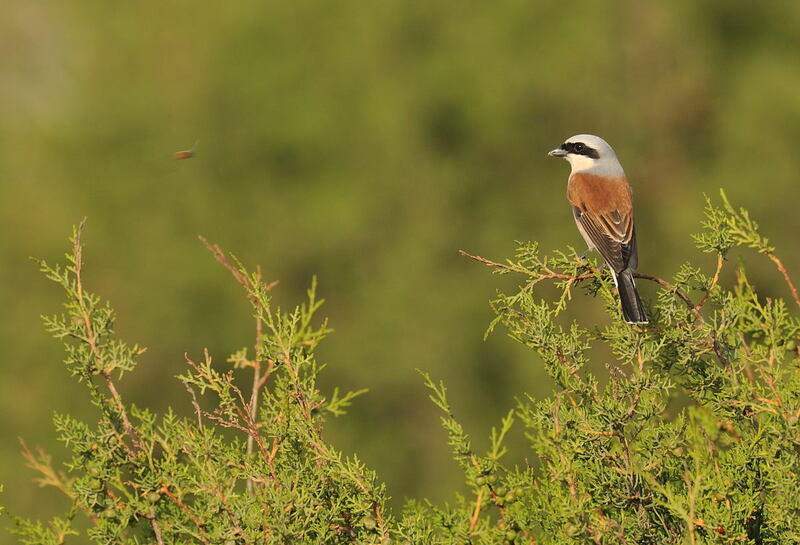 Male Red-backed Shrike watching a bee. This stunning male had arrived overnight. Black-eared Wheatear of the eastern melanoleuca "black-throated" form. 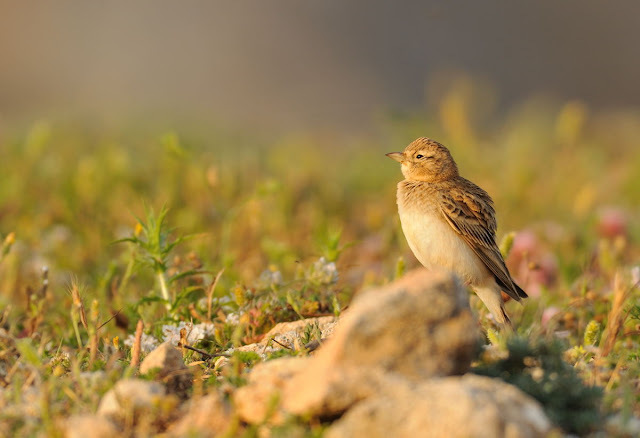 A common passage migrant seen daily. Blue-headed Wagtail - regular passage migrant in varying numbers. 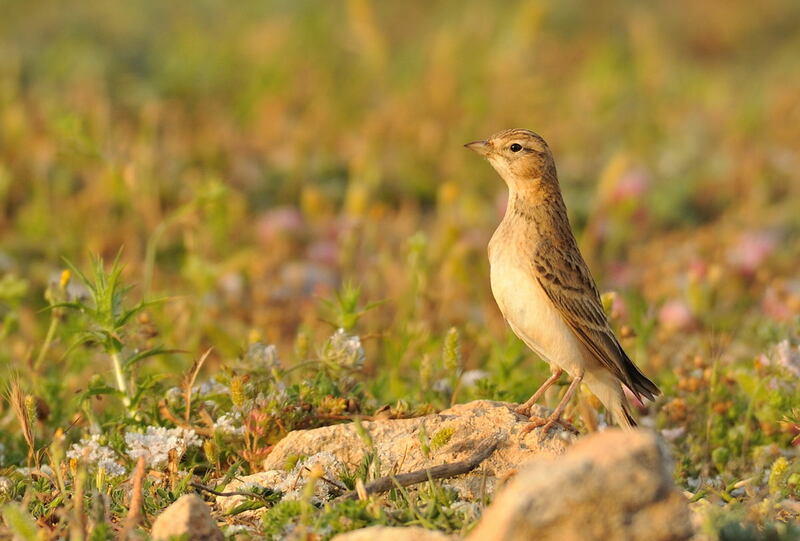 Short-toed Lark were seen daily though not as common as they have been in previous years. Additional daily totals were as follows: three White Stork, eight Marsh Harrier, four Pallid Harrier, one Curlew (island tick for me! 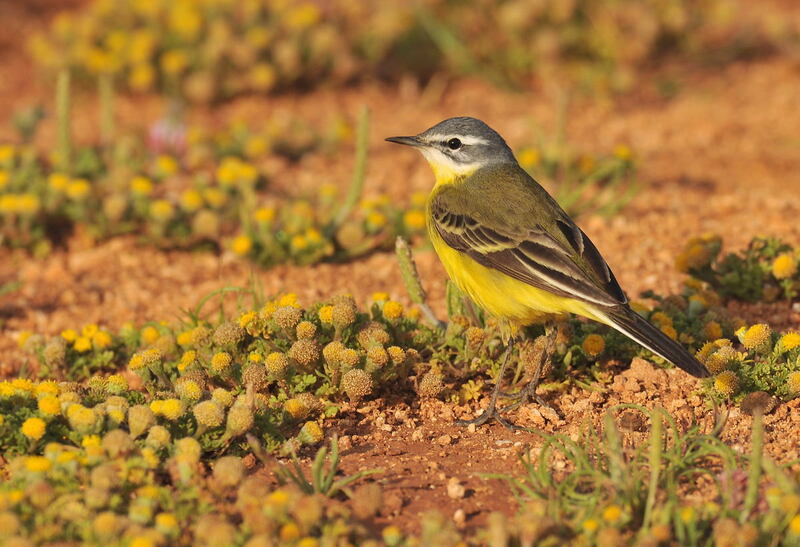 ), two Crag Martin, 12 Red-throated Pipit, 50 Yellow Wagtail, male Golden Oriole, two Sardinian and one Ruppell's Warbler. Excellent images, the warm lighting is superb. The light is fabulous Steve. 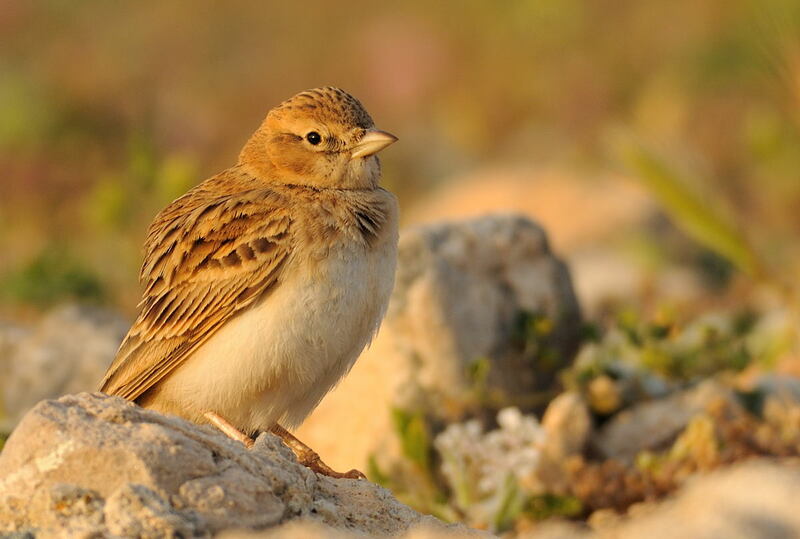 The last Lark shot is gorgeous.